Don’t Leave Your Hiring HVAC Contractors to luck! Free and Easy- Now The Best Way to Find and Hire a Local Heating and Air Conditioning Contractor, Risk Free. Find the best HVAC Contractor in your local area. Find out which HVAC contractors to trust, and which to avoid. Are you in the market for a new heating and cooling system? Authorities all over the news say, be careful. Many homeowners who have invested in new high efficiency heating and cooling repairs and equipment did not get the comfort and energy efficiency they paid for or worst did not need the repair and was over charged. You can start now to get matched up with a local top HVAC contractor contact you in your area. No Membership No Charge to the Homeowner. The Match up is Free and so is The Contractors Advice. Look no further next time when Hiring HVAC Contractors and you do not have to join a membership. Other companies like Angies List, Checkbook and many more companies on line today have fees or charge you. Most forms you fill out online are sold to 4-6 companies and they all call you and never let up. Here you have a very special company working for you. We keep it easy, reliable and risk free. 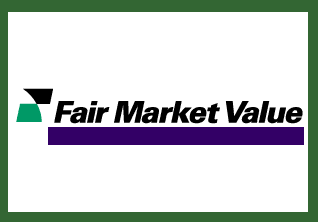 Fair Market Value Heating and Air conditioning Prices That Are Not to High, Not to Low, Just right We have had 30 years in the Heating and Air conditioning business. Our goal is to match homeowners with high quality contractors that provide fair market value. Think of us as your inside people in the industry helping and protecting you with referrals, of course the final research and decision is up to you. With no membership fees like other national referral companies. If you are ready to move forward with your project within a months time frame our Elite HVAC Contractors will come out to your home and can give you a locked in price. Now for air conditioning and heating installations, service, maintenance, free estimates, and quotes. 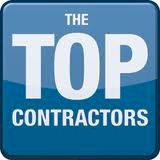 Top Contractors Only the Best HVAC Businesses. Every Service Company is Subject to One of the Strictest Quality and Safety Criteria and Ongoing Compliance Checks for HVAC Installations, Service, Maintenance Including Free Estimates. We are the strictest, safest and easiest way to find and hire a top HVAC Contractor in the area of West Chester Pennsylvania. Each business must be properly registered, insured and qualified with our complete list of requirements to work with you. Our Referral business for you is based on important research undertaken by the federal Department Of Energy, the Environmental Protection Agency, and electric and gas utilities nationwide. We draw on the resources of heating and cooling equipment manufacturers, distributors and trade associations. We share advice from consumer protection groups, publications and TV investigative news stories for you. Elite HVAC Contractors Are Different, We Help Educate You, Provide Referrals for You, and Protect You. No charge to you the homeowner. The match up is free and so is the contractors advice! Please Share Hiring HVAC Contractors Help with Friends and Family on Facebook.